Semantic search | Why does it matter in SEO? Semantic Search – What is it? Why do you even care? Before you go to Wikipedia to understand what is semantic search, let me ease it for you. Semantic search is the practice by which content creators can interact with users and a method by which search engine better serves its users. In user’s case, it is more like a conversation between the user and the search engine. It basically increases the accuracy of the search result by understanding the searcher’s intent before even they finish typing. The search engines are ever changing with newer and smarter features that aren’t visibly seen but it adds huge value to user experience. There was a time when the search engine was just a database that retrieved a set of documents that contains text and phrases exactly matching the search query. Then came the time when the search results grew in number and hence the spamming. Just include the keyword all over the article and your content would rank higher. This was really a poor user experience for the end users. As they were getting only a bunch of web pages that were stuffed by keywords. They were looking for information and all they get is an article with keywords. Search engines are smarter now. They no more sensitive to what the end users are seeing. More possessive for end users than before. More focused on providing only the best for them and nothing else. Search engines have up their game to provide only the most informative piece of content to its users. As a marketer, you need to understand what it means to be visible to search engine and eventually to your customers. If you have already or are planning to take your business online, this is the right time to get more leads and sales by spending time in understanding semantic search and why is it important for your business to grow. But why do we even have this shift in trend? I know improvement is important but why this specific change? This post is going to be pretty long, go get a cup of coffee before you start. Why do search engines focus on semantic search? To organize the internet that get’s data doubled every two years is not at like playing soccer on your smartphone. It took years of research and efforts to come to the conclusion of what requires to be done. In 2013, Google came up with the Hummingbird update in its algorithm. This was the biggest update in its history of existence. The algorithm was rewritten at so many spots on the whole. Google had a vision while doing this. Google was and is striving to maximize the possibility of an awesome user experience. This update was the key to do this. With ever-growing data that is consumed, people’s questions are even denser and indirect. The search engine has a promise to keep will not want to have a blank page as SERP. Hence the semantic search will keep the end users happy by understanding what are they looking for and serving as per their intent. Initially, the search engine wasn’t accurate in understanding and serving the search results which did not fit the purpose of being a search engine. Hence with this update search engines are into analyzing the intent of the user so as to provide the most relevant search result as if a human brain is behind the serving of search results. Previously a query was a collection of words, that’s it. But with the invention of Knowledge Graph, Google made sure that the search engine understands the query rather than just looking for things, not strings. It is a collection of millions of places, people, things and everything under the sun. Knowledge graph is powered by an AI that connects the keyword to an entity that is not at all present in the search query. That’s the power of knowledge graph. It not only grows and expands its knowledge with the information on the internet it also helps the search engine decide what the end user is expecting. Semantic search is a search or question that serves meaningful results. Even if the serves item may or may not contain the search term(s) or when the search result involves no query text at all. All the major search engines are focusing on semantic search. Hence it will be a major part of SEO going forward. Obviously, search results will include the content containing the search term that the publisher uses in title tag and meta description. Apart from that, the top result(s) will be highly semantic depending upon the search query. All the SEO best practice will hold true and rank accordingly, semantic SEO does not make another stream of search results page. It’s just that semantic search occupies special space in SERPs which directly would vary with change in the search query. Keywords still matter and they are as important as being semantically sound is. Keywords help the search engine match your content as per the user’s search intent. Search engines are smarter now and hence the keyword match will be equally smart. Keywords will never die, but it will be always accompanied with search intent. However, Google considers conversational search which ranks the web pages based on what you search for, who you are and your location. The semantic search begins while the user types the query. In other words, the semantic search is crafted in a way that while the user types the query the algorithm predicts it’s contextual meaning and serves the relevant results. As an input, the algorithm takes multiple variables about the person typing the query into consideration. Voice search is closely related to semantic search, as voice search is a conversational type of search which is similar to semantic search. Anyone who wants to rank via SEO in 2018 will need to bring their attention to semantic search. The internet has taken over long back. We turn to the internet for anything and everything. Statistics show that 80% of searches are “informational queries” and to address this the search engine needs to find the best page on the internet. The search engines before 2013 were not capable of providing the best page on the internet for these “Informational queries” and hence the Humming Bird update was brought into existence. Google Patents this feature and has a pretty amazingly explaining flow chart of how semantic search work. The update was crafted with semantic search in mind. The algorithm is to rank answers to the questions (search query) based on the already indexed data. The logic is to first understand the searcher’s intent then serve the results based on the search results that were already served for the similar/same query. After this update came, each word meant differently to the search engine. Irrespective of the sentences the word is in, the meaning would vary. While someone makes a search, as part of semantic search the search results included data cards containing links to more details of it, including Wikipedia. The rich data cards would include social profiles, news, Wikipedia page, bio and more. Depending upon the search query the rich data cards would vary. Semantic search is basically a product of two basic elements, Intent and context. The intent of the searcher may not be same every time. For example, I may search for “pancakes” either to eat it from stores near me or get the recipe to prepare it at home. Similarly, the context would also vary. Context deals with what made the users search for that particular search query. For example, if there was a recent cyclone in Chicago and the user searches for “cyclone reports” the search engine will understand the context of the search and suggest “Chicago cyclone reports” in the suggestions box. I didn’t even mention which movie the dialogue is from, I didn’t even mention it is a dialogue. Still, the search engine recognized the entity of this search query and serve the search results. What search engine did was predict the intent of this search and served all possible results related to my search. I may be looking for his movies, his spouse, his family, his social profiles and so on. Since my search was not clear both on intent and context grounds the search engine semantically came up with this search result page. Up next is an amazing thing. I searched for “Jack Sparrow” and got relevant results of that amazing character that Johnny Depp played in the Pirates of Caribbean. And then in my search, the only thing I type is “Jo” and look at the search results the search engine shows. Google auto-completed my search as it got a reference from my history. The search engine predicts that I made a search for Jack Sparrow hence I must be looking for Johnny Depp. Next a tricky question. I search for “who killed Harrison wells in the flash“, this was in reference to famous TV series – The Flash. I am a big fan of this series, must watch. Results are laser sharp accurate, the as if I am talking to a person. The algorithm is not human, it needs some inputs to predict the intent and context of the searcher to serve them even faster. So there ought to be some deciding factors that govern the quality of semantic search served. Here’s the list of factors that matters. Location: As usual, a location of the search matters even now. And now it’s more important. The query “Sports news” may mean different in the US than in India. The query would result in news containing cricket, hockey, Kabaddi etc. Where as same query would serve sports news containing rugby, baseball, and basketball. Search History: This will sound creepy. Your search history is utmost important to search engines as you are. The search results will be personalized to cater your needs with search history as a base. the query “best laptop under $1000” will look totally different in incognito/private browsing mode. Switching to incognito mode will serve the most popular queries as suggestions while the user types it. Semantic search works by using user’s history and providing most relevant result based on that search history. Queries around same time around you: What are people searching along with you also matters. If everyone is searching for “Black Friday sale” the search engine will show relevant suggestions and do the magic. What others are searching around the same time and how successful are those searches relatively are the two other factors that Google considers as part of a contextual search. Knowledge graph: The most important of all as this is where the search engine indexes search results and serve it to the user. Knowledge graph serves as the biggest contributor to a successful semantic search. Speeling and variations: If a user searches for “Bruklyn bridge” the search engine will understand that the user is intending to search for the Brooklyn bridge. 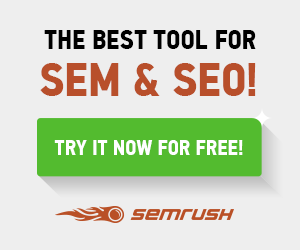 How to rank your content in a semantic search? Finally the sweet chunk of this post. All you wait comes to an end, if you continue beyond this I assume you must be an SEO. Even if not, continue reading – It’s free. When it comes to ranking your content on search engines, it becomes really difficult to cope with the ever changing demand for the information. Whatever you prepare will be submerged into the pool of information, so here are 13 ways by which you can get visibility with semantic SEO. #13 Research on your customer/reader’s need. Just like you research for regular SEO keywords. Get closer to what users are looking for, consider it and draft your content to make it more conversational. Map all the URLs of your domain to properly define the purpose of each URL. Use tools like Writemaps, this tool is a great place to design and structure your website the way you like. Your structure should not be clumpy, confusing or misguiding. Make sure you have a clear navigation and all major sections of your website are accessible from the homepage. Homepage SEO is as important as overall SEO of your website. Cover everything that a potential user would be looking for. Use multimedia and become authoritative in your niche that search engines would love to include your content in their conversation with the end user who’s having a search query to answer. Create targeted content that answers user’s questions and quires. Apart from including the target keyword, your attempt should be to guide user further. Eg: If your target keyword is “Paris” it’s better to mention more about “Paris” as if you stay there. It should be that deep. Brainstorm on user intent to know the target user better. Structure data annotates the content that is already on your webpage(s). Doing this will give more authority to your website and ease of the search engine Bot crawling through your website to better understand your content. Make it easy for users to find your content, once they find it make it, even more easier for them to understand it. This begins by predicting what will make your user search for something you can provide. Build your content in such a way that you can get in front of users with your content. Cover everything around the topic you are posting on. Eg. If your content is on Pizzas, also cover the topics like dough, jalapenos, olives, liquid cheese and whatever the pizza can have. Better if you can provide content with interlinks to those content. Just like the search engine identifies related searches of the searched query, you also have to think on what all things that the users can/may think of while reading your content. Not using the same keyword again and again (though in a permittable percentage) you not only dismiss the chance of creating a semantically sound article but you also create chances of the reader getting bored of seeing the same word again. We as a user hate to see the same word appearing in front of us, don’t we? Use variation & related terms in your content to help the search engine understand the related terms of your target keyword. While you do this your content will be rewarded with a top position in the SERPs. Outbound links do the regular job here too. The more you link to authoritative domains/contents the higher your content will be crawled. Make sure you link to domain/content that is relating your domain/content. Backlinks can also do great help here. Social sharing is important for semantic search because if the user’s search intent is not clear, the search engine displays content from all top-level domain – including social sites. Focus on SMO and SMM to get hold of this lane too. Just like outbound link works in your favor, interlinks also creates a channel through which you can propagate your users into your own network. By doing this you not only limit users from quitting your website (which increases the bounce rate) but you also retain the user to interact with your website and help you rank well. This holds good only if your content is of top quality and not compromising to user expectations. Some tools that can save your time and produce good results. Place yourself as a person talking to the end user and craft your content as if you are talking to them. Write in terms of entities and noun-focused content. While you craft answer based content make sure you have a decent length content reason being that short-form content will not rank. Even if it ranks, chances are that your CTR will be incredibly low. The only thing you get is impressions and not visits. Nowadays, Google itself answers typical questions like local time in X, the stock price of Y etc. Google has plans to retain users right on their website and provide information without having the users click even once. Thanks to rich cards from Google. On the other hand, Long-tail keywords by default work inline with semantic search. As long-tail keywords have a conversational flow naturally. Long-tail keywords work in a question-answer format. It technically covers answers in a way that we speak to each other. That’s the very essence of semantic search. You’ll be targeting dozens of long-tail keywords without even you knowing it if you use the longer content. Semantic search is going to be the new turn in SEO best practices in 2018. As almost every other search is made on mobile and desktop search is meeting a slow death. The search engines are getting smarter so the marketers who run a business on the internet need to focus on this. Helping searching server their purpose will get your reward as a top position in SERP. Over to you. Which trick are you going to use first to make the most of semantic search? Is it the interlinks or structuring your data? Let me know in the comment section below. Leave your thoughts on what else you want me to help you with. Do you know someone who is looking for this information? Share this with them and share in your network too.